Where the Heart Beats: John Cage biography by Kay Larson, reviewed. John Cage meets D.T. Suzuki in Japan, 1962. Courtesy of the John Cage Trust. Quick word-association test: What do you think of when you hear the name John Cage? But what else might there be in 4’33”, and in John Cage himself? That question has, at some level, plagued many if not all of those who would write about the composer. In their efforts to be biographically comprehensive or else musicologically precise, there’s been a certain hollowing-out of the basic fun involved in loving the very freeness of Cage’s project, which at root sought to do away with all manner of rules—of harmony, of how music and dance could relate to one another, of the great-man theories that form our Germanically-Capitalized Notions of Genius in Fine Art. While Gann solved this problem by going short, the art critic Kay Larson has now gone long—and speculatively gonzo—in her strangely structured, 417-page appreciation of the composer’s public and inner lives, Where the Heart Beats: John Cage, Zen Buddhism and the Inner Life of Artists. The subtitle may seem to be casting about for an audience—a little bit for the self-help crowd, a bit for the art-history buffs—but this mashup of histories and aesthetics that Larson proposes develops into something not just convincing, but revelatory. Larson knows from creative inner lives thanks to her multidecade career as an art critic for the likes of New York, ARTnews, the Village Voice, and the Times. 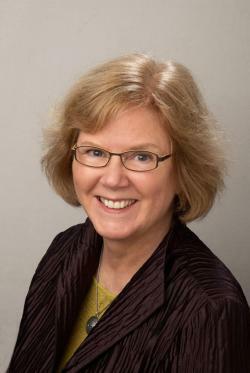 Her Zen credentials originate, she tells us in a foreword, from an intensive study and practice of Buddhism that began in the wake of the “abrupt” end of her full-time job, back in the 1990s. (Media-world types might wince at the tale that bit implies.) Cage lover that I am, I entered the book dubious that she could unpack the work of Cage the composer, no matter how well read she is in his journals. I was nitpicking my way through the text, wondering why she was breaking up the Cage life-story to tell us about a centuries-old permutation of Buddhism even before the part of the story where Cage makes his own turn toward Zen. Was the book going to be this reductive and deterministic throughout, I wondered, by reading all of Cage’s many permutations of mind as inexorably tied to his eventual Zen awakening? But after page 200—say, at the point when Larson brought Cage’s first “happening” seamlessly into conversation with contemporaneous events like D.T. Suzuki’s Columbia University lectures (which Cage attended) and the creation of “Mother of God” by Robert Rauschenberg (who had fallen into Cage’s retinue)—I just started writing Wow in the book’s margins. The whole strange mesh of it was speaking to me, and I stopped keeping score of how many times Larson missed or muffled a minor point—like her incorrect claim that CD players have always replaced turntables in modern performances of Cage’s earliest percussion pieces. I merely began to treasure the odd texture of her finely synthesized enthusiasms, and what it could teach me about works I already thought I knew pretty damn well. It sounds like a parody of a Buddhistically deep koan to suggest that the book about Cage most likely to entrance newcomers is the same one that will most startle the class of so-called experts on the subject—but that’s the trick Larson has managed here. Some of the Cage-ian dramas that appeal mostly to modern-music geeks, like the composer’s brief friendship and longer breakup with Pierre Boulez, are sketched briefly or not at all. His music for larger forces—such as choruses or orchestras—is given short shrift compared to small-ensemble pieces that engage dance and other forms (like conceptual art) more directly. Despite these choices, Where the Heart Beats may not just be the best book written yet about John Cage; it’s probably also one of the most substantive-yet-readable entryways into the nexus of 20th-century American art and the immortal qualities of Eastern thought. And if you do already have a copy of Credo, you’ll pull it out again upon reading Larson’s provocative suggestion, if only to marvel anew at how the piece’s subtle layering of randomized sound samples works so elegantly with the written-out parts for piano and drums, despite having been fashioned on deadline for a fast-approaching dance recital. (Of course Cunningham fell for Cage. Of course he left Martha Graham’s tutelage and conceptual approach behind. Wouldn’t you do the same, if an admirer wrote something so perfectly tailored to your movements?) Just months after the premiere of Credo, Cage and Cunningham debuted a new collaborative piece, and the way Larson narrates the latter’s contribution—“a short dance solo of leaps and half-turns of the spine and arms cocked at the elbow: movement without narrative content”—makes their coming together seem romantically and aesthetically inevitable. Before his turn toward Zen, Cage’s experimental spirit was inspired by what he saw in Cunningham’s bearing—and to make that story sing, Larson has to tell the story of Cage’s sexual evolution, and some truths about the law-weaponized forms of homophobia as practiced in the 1940s against other (allegedly) gay composers, more directly than other biographers have dared. (Cage and Cunningham maintained separate apartments until 1971, in what Larson chalks up to an abundance of caution.) But the leeway Larson gives herself always seems to earn out—her readings of Bergmanesque self-torment in Cage’s Four Walls are persuasive, and fit sensibly enough in the composer’s personal timeline, when he was growing apart from his wife and toward Cunningham. And this section also prepares readers for the more startling sections to come, in which, by reading her intuition alongside the known biographical facts, Larson allows herself to make broad, convincing arguments for Cage’s magnetic power and pull over successive schools of artists. And oh yes, by the way, basically every artist who mattered in the 20th century and who spent any time in America seems to make an appearance in this book: Duchamp, Pollock Warhol, Johns, Ono, and on and on—the gang’s all here. Larson proves to be a talented gumshoe, turning up house records thought lost from the Artists’ Club, started by New York’s downtown crew of renegade painters in 1949. (She just knocked on some old doors). Late in the book Larson quickens her pace as she clarifies Cage’s impact on successive generations of American artistic practice—Pop, Fluxus, the conceptual movements—as well as to individual artists like Alison Knowles and Bruce Nauman. These brief mentions could have sustained whole chapters. Given that richness, who cares if Larson’s book isn’t grounded in dense music-theory knowledge? Other books have that territory covered, like Gann’s Silence, James Pritchett’s The Music of John Cage, and, the most biographically complete (if dry) work to date, Kenneth Silvermann’s Begin Again, published last year. But Larson is after altogether different game, and playing by different rules. Cage was an unreliable enough narrator of his own life that he probably deserves at least one author willing to venture beyond the bounds of strict propriety in biography-writing. It’s 1949 or (most likely) 1950. We imagine Cage happily browsing in Orientalia, casually flipping open book covers, and being stopped in his tracks by the first page of [Suzuki’s] First Series and its stunning first sentence … At this point, if I were Cage, I would buy the book and take it home. The dangers here are evident. And yet, in part because Cage told different stories, over time, about this period in his life, there are things Larson (or any biographer) can’t know. And at least Larson’s methods are honest and transparent: Note how, when she can’t decide in which year a scene she has fully imagined might have had its best chance to happen, she tells us that with some parenthetical vacillating! Because of the intentionality of her ruses, this empirically minded reader of nonfiction was able to suppress his “Hey you can’t do that” reflex, similar to the one a serious concert-hall audience member might need to tamp down when told that everything happening on stage is being guided by a throw of Cage’s I Ching coins. Like the composer himself, Larson gets enough results from her unlikely conceptual approaches to blow past the objections of the form police. 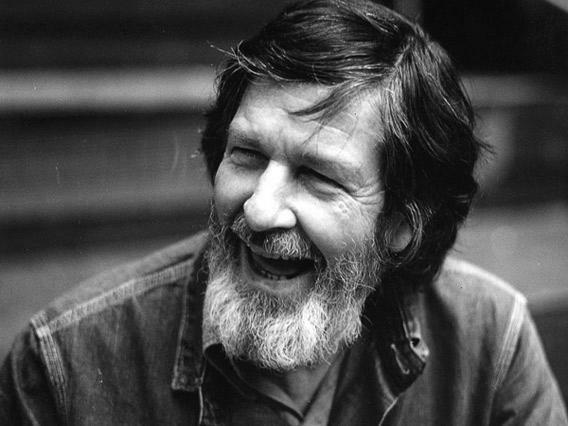 Tough-minded even when working at high levels of abstraction, Where the Heart Beats is one of the most profound, not to mention unexpected, gifts imaginable during John Cage’s centenary year. Larson’s is the first book about Cage to have the same feeling of listening to Cage—replete with the epiphanic moment of “ah,” at which point the skeptical, hidebound mind may find itself pushing up against all the quotidian objections to unusual ways of organizing information, before breaking through to some other form of understanding—and a new definition of what may constitute the good life. There’s something very calmly Zen about this, the way Where the Heart Beats doesn’t feel the need to put down or else diminish our enjoyment of pop-culture jokes like “Cage Does Cage” while making its points. Instead, it feels as though Larson’s book only hopes to exist alongside those tropes, while giving us a few additional words to use when talking about an artist who resisted the fixed implications of so many languages. 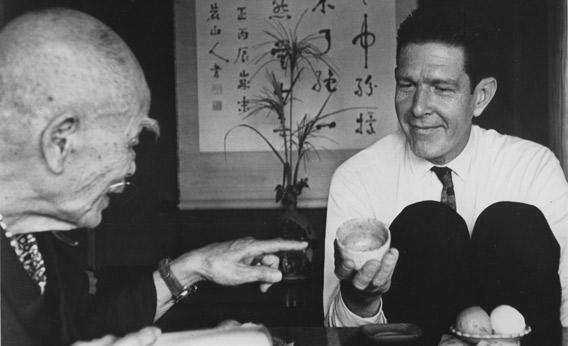 Where the Heart Beats: John Cage, Zen Buddhism and the Inner Life of Artists by Kay Larson. The Penguin Press.